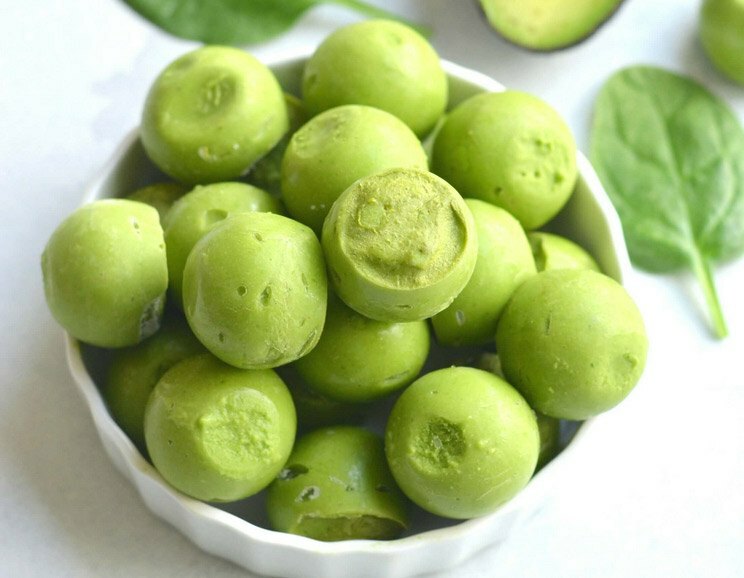 Made with just 4 wholesome ingredients – avocados, coconut milk, spinach, and vanilla, these green smoothie fat bombs are exactly what you need for a healthy snack! These smoothie fat bombs are loaded with healthy fats and protein. 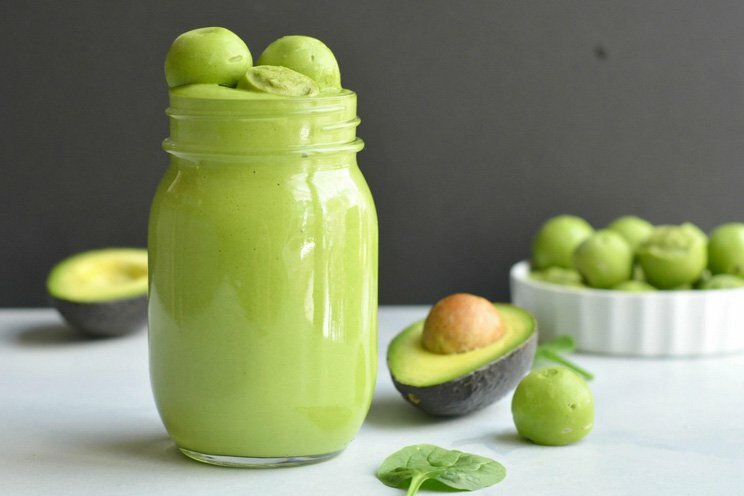 Avocados give these bites a smooth and creamy texture while spinach adds nourishing vitamins and minerals. For a touch of sweetness, vanilla extract and coconut milkget blended in. If you’re not on a strict keto diet, feel free to add raw honey instead! To make them, simply blend the ingredients together until smooth then transfer the mix into a silicone mold, and pop in the freezer to set! They’re ready to eat in two hours and make for great on-the-go keto snacks to help curb cravings. If you don’t have a silicone mold, don’t worry, an ice cube tray works too. Other ingredients and flavors can easily be added to the recipe to make it your own. Try adding fresh blueberries and raspberries, or even a bit of kale! 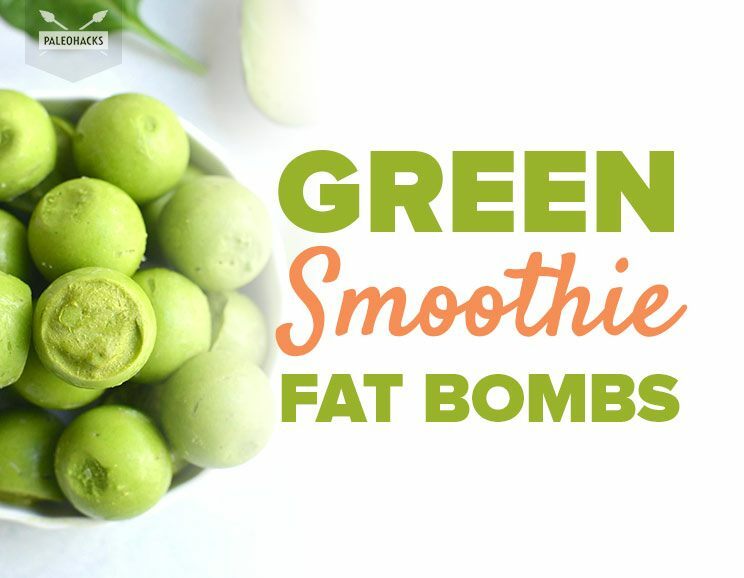 Tip: These green fat bombs are also a great way to keep your smoothies cold without diluting them. As they melt, they’ll add flavor, instead of making your drink watery. Made with just 4 wholesome ingredients – avocados, coconut milk, spinach, and vanilla, these green smoothie fat bombs are exactly what you need for a healthy snack. Place all the ingredients in a high-speed blender. Blend on high until smooth. Using a teaspoon, transfer the mixture into the cavities of the silicone mold. Place in the freezer for two hours to set then enjoy!